I’m still reeling from an amazing 27th Hour live broadcast we rigged up last night at Barfly featuring performances from local rippers Nuage Flou (above) and Boar God. If you weren’t among the lucky folks who got to enjoy the gig in person, check out the full audio here and don’t skimp on the volume. We’re very excited to welcome our friends at Blue Skies Turn Black into the studio for our November edition of the Montreal Sessions. BSTB was founded in 2000 by Meyer Billurcu and Brian Neuman. In the early days, the company operated as both a record label and a promotion company. In 2007, however, the label ceased operations so that BSTB could shift its primary focus on concert promotion. A decade after its first humble event — a DIY screening of Fugazi’s film ‘Instrument’ — Blue Skies Turn Black has become an essential fixture in the Montreal musical landscape, having worked with a wide array of international and local artists in venues of all sizes throughout the city. Its team of employees continue to strive to find exciting up-and-coming bands while also concentrating on the hundreds of bands and artists the company has cultivated relationships with over the years. Catch the crew on-air every Tuesday in November from 3-5pm or download the full archived audio here. 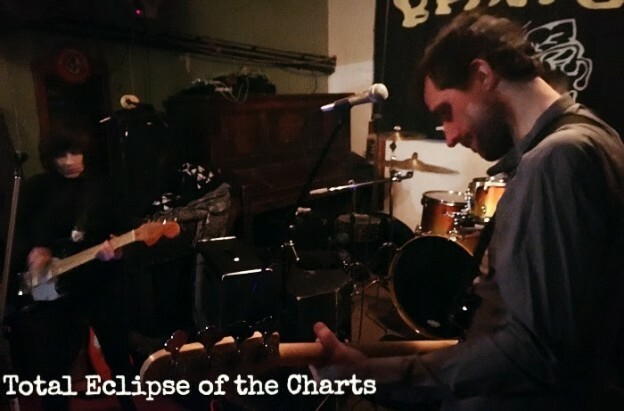 This entry was posted in Charts and tagged Blue Skies Turn Black, boar god, nuage flou, specialty charts, the 27th hour, top 30, total eclipse of the charts on November 7, 2017 by CKUT Music Coordinator.